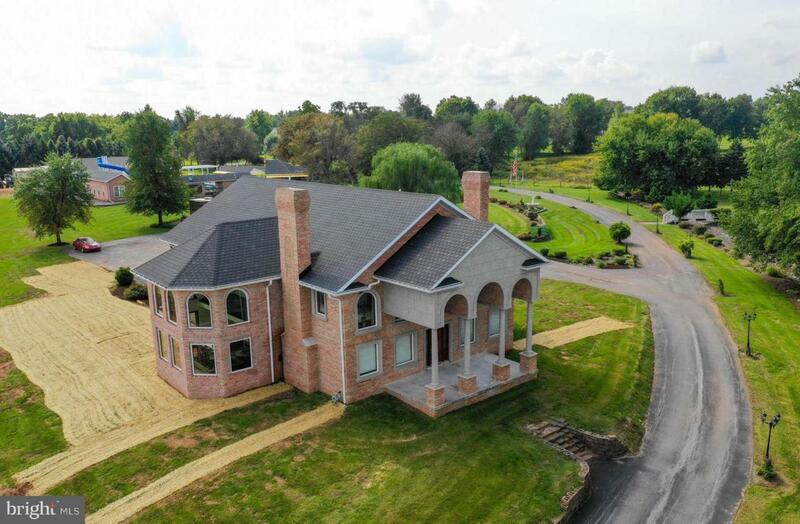 Over 9,000 SQFT of living space situated on 2.5 acres in Central York School District and features cherry hardwood flooring, custom cherry and maple cabinetry and cherry interior doors and trims throughout! This home features a full size fenced in tennis court and beautiful Gazebo, ideal for relaxing and enjoying the lush green lawn and beautiful landscaping. This home offers 6 bedrooms each with an en-suite bath, ideal for the growing family. The Chef in the family will appreciate the spacious Kitchen with custom cherry cabinetry, Viking appliances, granite counter tops, large center island and large walk-in pantry. Spacious 1st floor Master Suite with separate sitting area and private bath with his & her vanities with granite counter tops, custom vessel sinks and pendant lighting, corner jetted tub and large walk in shower. The large walk-in master closet offers custom cherry cabinetry and built-ins. Separate 2 story Dining Room with floor to ceiling windows, Formal Living Room and Sitting Rooms. The 2nd floor features four additional bedrooms, Family Room with custom built-ins and two interior balcony overlooking the 1st floor. The finished lower level features a Family Room with built-in wet/dry bar, Exercise Room with mirrored walls, Craft Room, private Office and storage room with double doors leading out to the rear driveway. Oversized attached two car garage, large driveway with turn around area and additional parking. Surround sound system throughout the home. Schedule your private tour today to explore all of the wonderful amenities this home has to offer.